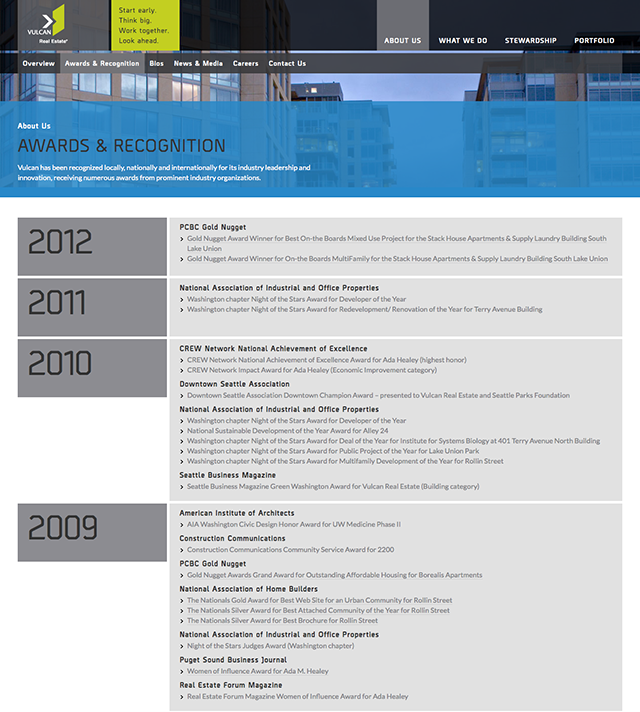 Vulcan Real Estate manages all real estate investments for Vulcan, Inc., a Paul G. Allen company. 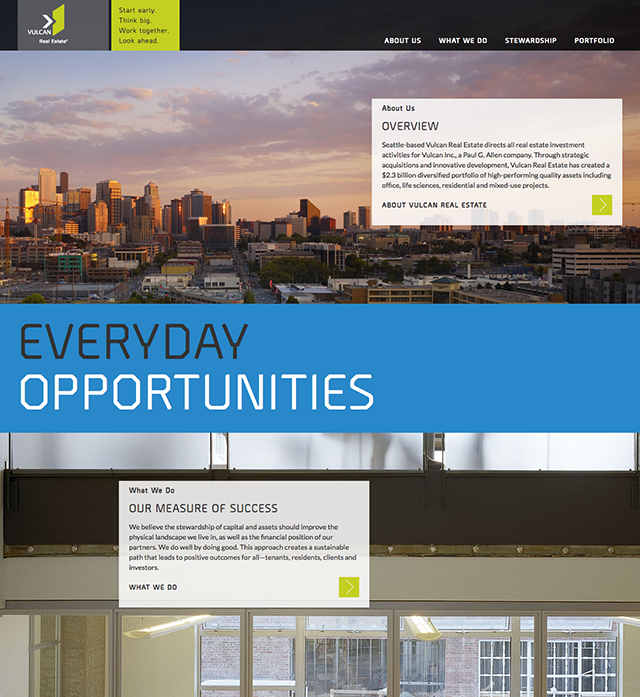 Based out of Seattle, Vulcan Real Estate has an impressive portfolio of assets that include office, life sciences, residential, and mixed-use projects. 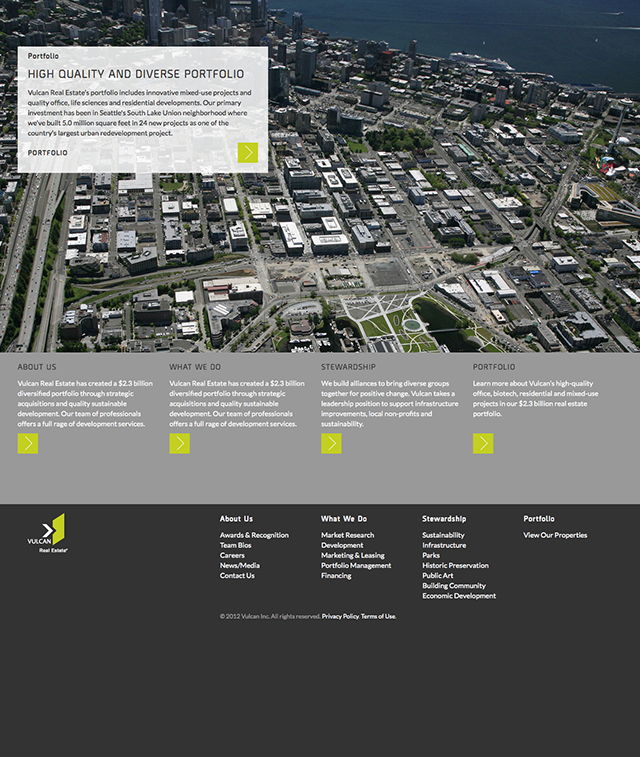 They approached us with a need for a website that reflects their dedication to fostering high-quality, sustainable communities, along with their mission to advance high impact initiatives in the Seattle-area. The website we created is flexible and unique, and allows for multiple-platform access (phone, tablet, desktop). 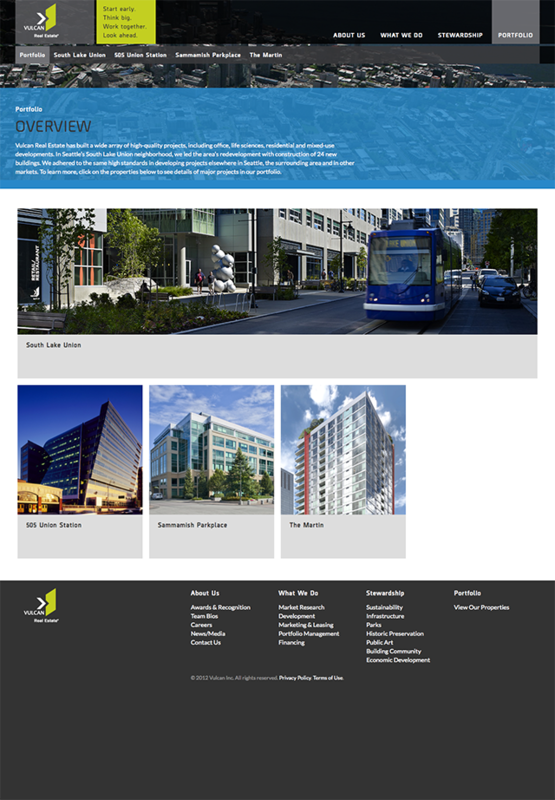 The site also features an easy-to-manage portfolio of their real estate holdings. The sleek design is functional and attractive.